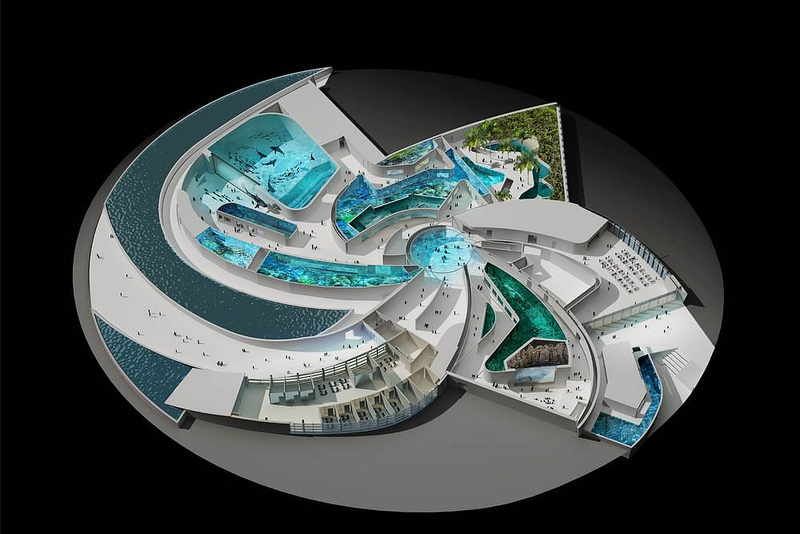 HomeBlogArchitectureThe Blue Planet Aquarium: Α vortex to an underwater world. 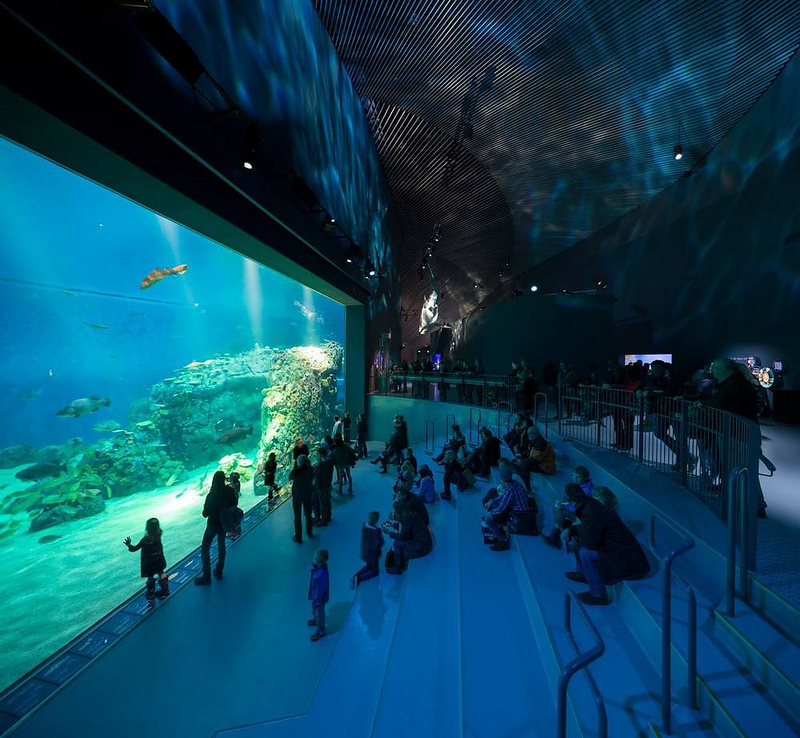 Situated on the hills of Copenhagen (Denmark) The Blue Planet is one of Europe’s largest aquariums. 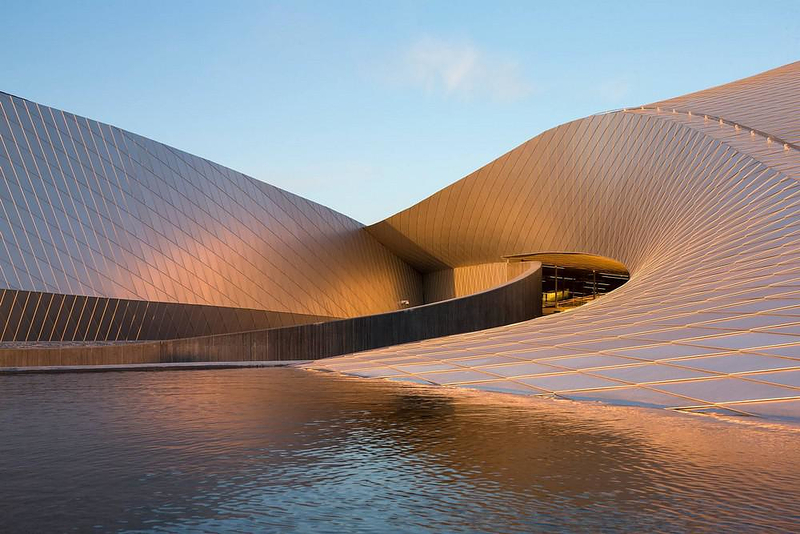 It was designed by 3XN Architects and the basic idea was to visualize the story about water and life under the sea through an architectural landmark. 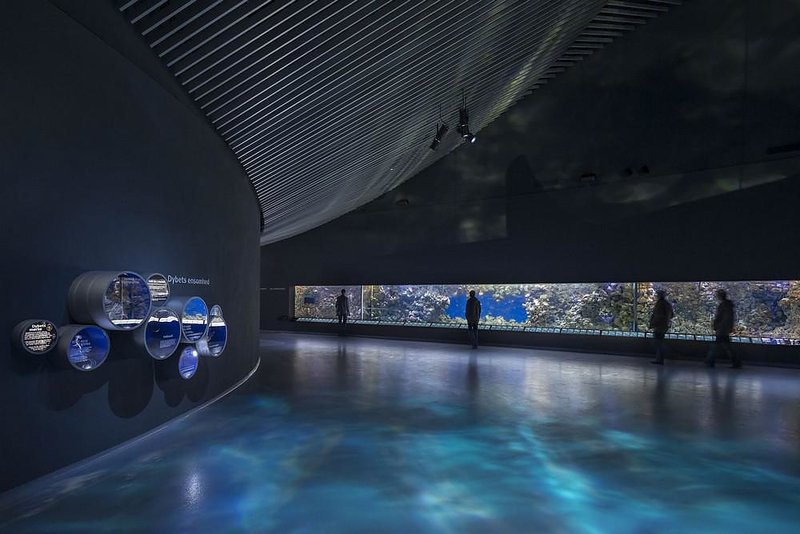 The vortices observed in the natural movement of water currents, fish groups and flocks of birds gave the architects 3XN the inspiration for the design of the The Blue Planet aquarium”. The building resembles a large vortex, and by the time you see it from the window of your plane, just before landing at the nearby airport of the Danish capital, you can easily imagine ​​what is happening inside: enormous water tanks accommodate a an impressive variety of fish and sea creatures. There are areas that showcase life in rivers, lakes and oceans, with creatures including hammerhead sharks, sea lions, rays, puffin and Faroese cliff birds. The tanks are divided up into different geographies. This means you can visit “the Amazon” and find anacondas and butterflies, or the Faroe Islands, which is home to large halibut. An ocean tunnel allows visitors to walk under an aquarium, with sharks and groupers swimming around them. The competition for the design of the building took place in 2007 with winning architects the Danish firm 3XN. The construction lasted about five years and it is expected to host around 700,000 visitors per year. 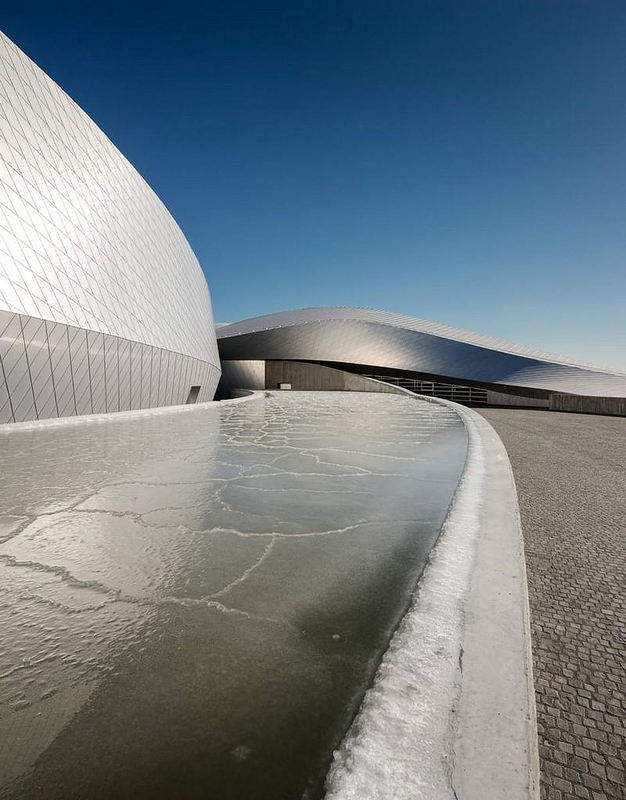 The aquarium is built over the hills of the northern side of Gulf Kastrup, on a boundary between land and sea. 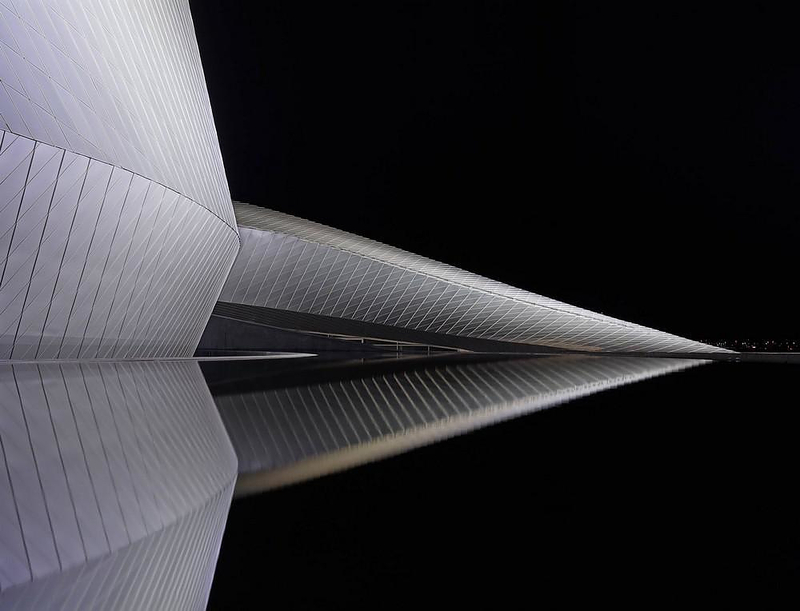 The material of the facades’ skin consists of diamond shaped, just like fish scales, aluminum plates that follow the building’s free and organic form. The metal reflects the light of the buildings’ surroundings, aesthetically adjusting it to the natural environment. In this manner, the material seems to respond to changes during the day, as well as the seasonal variation of the colors. Outdoors, The Blue Planet aquarium welcomes the guests with ponds of water that lead the visitors to the interior of the main building, letting them drift into the vortex and get into an underwater world. The tour starts from the circular ‘eye’ of the vortex, key point of the architectural design, where guests are free to choose which part of the exhibition wish to visit first. Close to the main foyer, there is a restaurant which, as expected, has a view of the … sea. The Blue Planet aquarium is the second largest in Europe, with a total of 53 tanks containing more than 20,000 fish and marine animals, and a total water volume in the reservoirs reaching 7,000,000 liters! It hosts the largest pool of piranhas in Europe, and all the species are thematically categorized by their geographic origin. Highlight of the whole experience is the underwater stroll in an impressive glass-walled tunnel which allows visitors to feel like that they are in another world. An experience that cannot be missed!